PhD and Postdoc positions are available. The topics are in the areas of action recognition, human pose estimation, and computer vision for robotics and plant science. For more details, please contact me. Research assistant (SHK/WHF) positions are available. Several bachelor and master projects are available. The topics include action recognition, object detection, semantic segmentation, scene understanding, human pose estimation, machine learning for computer vision, and computer vision with RGB-D sensors. If you are interested, do not hesitate to contact me. The University of Bonn offers an excellent master program with focus on Graphics, Vision, Audio. More information including application procedure can be found at the Institute of Computer Science. Abu Farha Y. and Gall J., MS-TCN: Multi-Stage Temporal Convolutional Network for Action Segmentation (PDF, Code), IEEE Conference on Computer Vision and Pattern Recognition (CVPR'19), To appear. Sawatzky J., Souri Y., Grund C., and Gall J., What Object Should I Use? - Task Driven Object Detection (PDF, Supplementary Material, Data), IEEE Conference on Computer Vision and Pattern Recognition (CVPR'19), To appear. Kukleva A., Kuehne H., Sener F., and Gall J., Unsupervised Learning of Action Classes with Continuous Temporal Embedding (PDF, Supplementary Material, Code), IEEE Conference on Computer Vision and Pattern Recognition (CVPR'19), To appear. Garbade M., Chen Y.-T., Sawatzky J., and Gall J., Two Stream 3D Semantic Scene Completion (PDF), Multimodal Learning and Applications Workshop, To appear. Sabokrou M., Pourreza M., Fayyaz M., Entezari R., Fathy M., Gall J., and Adeli E., AVID: Adversarial Visual Irregularity Detection (PDF), Asian Conference on Computer Vision (ACCV'18), To appear. Briq R., Moeller M., and Gall J., Convolutional Simplex Projection Network for Weakly Supervised Semantic Segmentation (PDF, Code), British Machine Vision Conference (BMVC'18), 2018. Doering A., Iqbal U., and Gall J., Joint Flow: Temporal Flow Fields for Multi Person Tracking (PDF), British Machine Vision Conference (BMVC'18), 2018. Rafi U., Gall J., and Leibe B., Direct Shot Correspondence Matching (PDF), British Machine Vision Conference (BMVC'18), 2018. Moeller M., Loffeld O., Gall J., and Krahmer F., Are Good Local Minima Wide in Sparse Recovery? (PDF), International Workshop on Compressed Sensing applied to Radar, Multimodal Sensing, and Imaging (CoSeRa), 2018. Garbade M. and Gall J., Thinking Outside the Box: Spatial Anticipation of Semantic Categories (PDF, Images/Data/Code), British Machine Vision Conference (BMVC'17), 2017. Kalliatakis G., Stamatiadis G., Ehsan S., Leonardis A., Gall J., Sticlaru A. and McDonald-Maier K., Evaluating Deep Convolutional Neural Networks for Material Classification (PDF), International Conference on Computer Vision Theory and Applications (VISAPP'17), 2017. Kalliatakis G., Ehsan S., Fasli M., Leonardis A., Gall J., and McDonald-Maier K., Detection of Human Rights Violations in Images: Can Convolutional Neural Networks help? (PDF, Code/Data), International Conference on Computer Vision Theory and Applications (VISAPP'17), 2017. Wang L., Zhu C., Ye J., and Gall J., Special Issue on Deep Learning with Applications to Visual Representation and Analysis (Issue), Signal Processing: Image Communication, Vol. 47, 463-555, 2016. Rafi U., Kostrikov I., Gall J., and Leibe B., An Efficient Convolutional Network for Human Pose Estimation (PDF, Code), British Machine Vision Conference (BMVC'16), 2016. Garbade M. and Gall J., Handcrafting vs Deep Learning: An Evaluation of NTraj+ Features for Pose Based Action Recognition (PDF), Workshop on New Challenges in Neural Computation and Machine Learning (NC2), 2016. Gall J., Gehler P., and Leibe B. (Eds. ), Pattern Recognition - 37th German Conference on Pattern Recognition (GCPR'15) (Book), Image Processing, Computer Vision, Pattern Recognition, and Graphics, Springer, LNCS 9358, 2015. Panareda Busto P., Liebelt L., and Gall J., Adaptation of Synthetic Data for Coarse-to-Fine Viewpoint Refinement (PDF), British Machine Vision Conference (BMVC'15), 2015. Richard A. and Gall J., A BoW-equivalent Recurrent Neural Network for Action Recognition (PDF, Code), British Machine Vision Conference (BMVC'15), 2015. Srikantha A. and Gall J., Human Pose as Context for Object Detection (PDF), British Machine Vision Conference (BMVC'15), 2015. Kostrikov I. and Gall J., Depth Sweep Regression Forests for Estimating 3D Human Pose from Images (PDF, Images), British Machine Vision Conference (BMVC'14), 2014. Beetz M., Cremers D., Gall J., Li W., Liu Z., Pangercic D., Sturm J., and Tai Y.-W., Special Issue on Visual Understanding and Applications with RGB-D Cameras (Issue), Journal of Visual Communication and Image Representation, Vol. 25, No. 1, 1-238, 2014. Fossati A., Gall J., Grabner H., Ren X., and Konolige K. (Eds. ), Consumer Depth Cameras for Computer Vision - Research Topics and Applications (Book, Workshop), Advances in Computer Vision and Pattern Recognition, Springer, 2012. Razavi N., Alvar N., Gall J., and van Gool L., Sparsity Potentials for Detecting Objects with the Hough Transform (PDF, Images), British Machine Vision Conference (BMVC'12), 2012. López-Méndez A., Gall J., Casas J., and van Gool L., Metric Learning from Poses for Temporal Clustering of Human Motion (PDF, Images/Videos), British Machine Vision Conference (BMVC'12), 2012. Yao A., Gall J., van Gool L., and Urtasun R., Learning Probabilistic Non-Linear Latent Variable Models for Tracking Complex Activities (PDF, Images/Code), Neural Information Processing Systems (NIPS'11), 2011. Yao A., Gall J., Fanelli G., and van Gool L., Does Human Action Recognition Benefit from Pose Estimation? (PDF, Images), British Machine Vision Conference (BMVC'11), 2011. Gall J., Razavi N., and van Gool L., On-line Adaption of Class-specific Codebooks for Instance Tracking (PDF, Images/Videos), British Machine Vision Conference (BMVC'10), 2010. Fanelli G., Gall J., Romsdorfer H., Weise T., and van Gool L., 3D Vision Technology for Capturing Multimodal Corpora: Chances and Challenges (PDF), Multimodal Corpora: Advances in Capturing, Coding and Analyzing Multimodality, 2010. Fanelli G., Gall J., van Gool L., Hough Transform-based Mouth Localization for Audio-Visual Speech Recognition (PDF, Images/Videos), British Machine Vision Conference (BMVC'09), 2009. Gall J., Brox T., Rosenhahn B., and Seidel H.-P., Global Stochastic Optimization for Robust and Accurate Human Motion Capture (PDF), Technical Report MPI-I-2007-4-008, Department 4: Computer Graphics, Max-Planck Institute für Informatik, Saarbrücken, Germany, Dec. 2007. Gall J., Potthoff J., Schnörr C., Rosenhahn B., and Seidel H.-P., Interacting and Annealing Particle Filters: Mathematics and a Recipe for Applications (PDF), Technical Report MPI-I-2006-4-009, Department 4: Computer Graphics, Max-Planck Institute für Informatik, Saarbrücken, Germany, Sept. 2006. What Makes a Chair a Chair? BMVA Symposium on Video Understanding, London, United Kingdom, 25th September 2019. Organizers: Dima Damen (University of Bristol), Hildegard Kuehne (University of Bonn), Juergen Gall (University of Bonn), and Ivan Laptev (INRIA Paris). Anticipating Human Behavior, Bonn, Germany, 2nd September 2019. Organizers: Sven Behnke (University of Bonn), Maren Bennewitz (University of Bonn), Juergen Gall (University of Bonn), Reinhard Klein (University of Bonn), Andreas Weber (University of Bonn), and Angela Yao (National University of Singapore). Anticipating Human Behavior, Munich, Germany, 8th September 2018, in conjunction with ECCV'18. Organizers: Juergen Gall (University of Bonn), Jan van Gemert (Delft University of Technology), and Kris Kitani (Carnegie Mellon University). PoseTrack Challenge: Human Pose Estimation and Tracking in the Wild, Munich, Germany, 8th September 2018, in conjunction with ECCV'18. Organizers: Mykhaylo Andriluka (Google), Umar Iqbal (University of Bonn), Eldar Insafutdinov (MPI for Informatics), Leonid Pishchulin (MPI for Informatics), Anton Milan (Amazon), Siyu Tang (MPI for Intelligent Systems), Christoph Lassner (Amazon), Juergen Gall (University of Bonn), and Bernt Schiele (MPI for Informatics). Workshop on Interactive and Adaptive Learning in an Open World, Munich, Germany, 14th September 2018, in conjunction with ECCV'18. Organizers: Erik Rodner (Zeiss Corporate Research), Alexander Freytag (Zeiss Corporate Research), Vitto Ferrari (Google), Mario Fritz (MPI for Informatics), Uwe Franke (Daimler AG), Terrence Boult (University of Colorado), Juergen Gall (University of Bonn), Walter Scheirer (University of Notre Dame), and Angela Yao (University of Bonn). PoseTrack Challenge: Human Pose Estimation and Tracking in the Wild, Venice, Italy, October 2017, in conjunction with ICCV'17. Organizers: Mykhaylo Andriluka (MPI for Informatics), Umar Iqbal (University of Bonn), Eldar Insafutdinov (MPI for Informatics), Leonid Pishchulin (MPI for Informatics), Anton Milan (University of Adelaide), Juergen Gall (University of Bonn), and Bernt Schiele (MPI for Informatics). Imaging Depth Sensors—Sensors, Algorithms and Applications, Sensors. Guest Editors: Andreas Kolb (University of Siegen), Juergen Gall (University of Bonn), Adrian A. Dorrington (Chronoptics), and Lee Streeter (University of Waikato). Cross-Media Big Data Analytics, Journal of Visual Communication and Image Representation (JVCI). Guest Editors: An-An Liu (Tianjin University), Ke Gao (Chinese Academy of Sciences), Liqiang Nie (National University of Singapore), Juergen Gall (University of Bonn), and Yi Yang (University of Technology Sydney). Deep Learning with Applications to Visual Representation and Analysis, Signal Processing: Image Communication. Guest Editors: Lei Wang (University of Wollongong), Ce Zhu (University of Electronic Science and Technology of China), Jieping Ye (University of Michigan), and Juergen Gall (University of Bonn). 37th German Conference on Pattern Recognition (GCPR), Aachen, Germany, 7-10 October 2015. Call for papers. 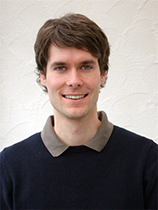 General chair: Bastian Leibe (RWTH Aachen University). Program chairs: Juergen Gall (University of Bonn) and Peter Gehler (Max Planck Institute for Intelligent Systems). Visual Perception of Affordances and Functional Visual Primitives for Scene Analysis, Zurich, Switzerland, 7 September 2014, in conjunction with ECCV'14. Organizers: Karthik Mahesh Varadarajan (Technical University of Vienna), Alireza Fathi (Stanford University), Juergen Gall (University of Bonn), Markus Vincze (Technical University of Vienna). Workshop on Consumer Depth Cameras for Computer Vision, Zurich, Switzerland, 6 September 2014, in conjunction with ECCV'14. Organizers: Andrea Fossati (ETH Zurich), Juergen Gall (University of Bonn), and Miles Hansard (Queen Mary University London). Affordances in Vision for Cognitive Robotics, Berkeley, CA, USA, 13 July 2014, in conjunction with RSS'14. Organizers: Karthik Mahesh Varadarajan (Technical University of Vienna), Markus Vincze (Technical University of Vienna), Trevor Darrell (University of California, Berkeley), and Juergen Gall (University of Bonn). Tutorial on Towards Solving Real-World Vision Problems with RGB-D Cameras, Columbus, OH, USA, 28 June 2014, in conjunction with CVPR'14. Organizers: Juergen Gall (University of Bonn), Xiaofeng Ren (Amazon), and Pushmeet Kohli (Microsoft Research Cambridge). Workshop on Consumer Depth Cameras for Computer Vision, Sydney, Australia, 2 December 2013, in conjunction with ICCV'13. Organizers: Andrea Fossati (ETH Zurich), Juergen Gall (University of Bonn), Helmut Grabner (ETH Zurich), and Miles Hansard (Queen Mary University London). Bonn Vision Workshop 2013, Bonn, Germany, 1 October 2013. Organizers: Simone Frintrop (University of Bonn), Juergen Gall (University of Bonn), and Armin B. Cremers (University of Bonn). Tutorial on Towards Solving Real-World Vision Problems with RGB-D Cameras, Portland, OR, USA, 23 June 2013, in conjunction with CVPR'13. Organizers: Xiaofeng Ren (Amazon), Pushmeet Kohli (Microsoft Research Cambridge), and Juergen Gall (University of Bonn). Visual Understanding and Applications with RGB-D Cameras, Journal of Visual Communication and Image Representation (JVCI). Guest Editors: Michael Beetz (TU Munich), Daniel Cremers (TU Munich), Juergen Gall (ETH Zurich), Wanqing Li (University of Wollongong), Zicheng Liu (Microsoft Research Redmond), Dejan Pangercic (TU Munich), Juergen Sturm (TU Munich), and Yu-Wing Tai (KAIST). IEEE Workshop on Consumer Depth Cameras for Computer Vision, Barcelona, Spain, 12 November 2011, in conjunction with ICCV'11. Organizers: Andrea Fossati (ETH Zurich), Juergen Gall (ETH Zurich), Helmut Grabner (ETH Zurich), Xiaofeng Ren (Intel Labs Seattle), and Kurt Konolige (Willow Garage).